Venue Join us at CRITIS 2016 in Paris ! 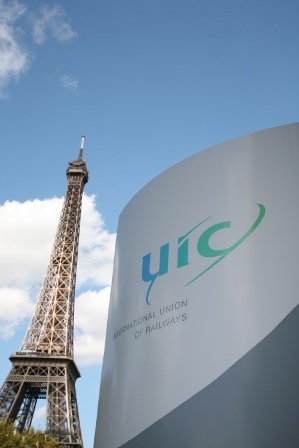 CRITIS 2016 will take place at the International Union of Railways (UIC) Headquarters, in the very heart of Paris, between the banks of the Seine and Champs de Mars, only a foot away from the Eiffel Tower. You need to take the RER B suburb train in the direction of Saint-Rémy-lès-Chevreuse or Robinson to Denfert Rochereau, and change to Metro line 6 (direct change) in the direction of Charles de Gaulle Etoile and get off at Bir Hakeim. Plan your itinerary. You can also take ’LE-BUS DIRECT’ which leaves from Terminal 2F and can take you to Champs de Mars-Tour Eiffel, just in front of UIC. Take the RER C suburb train in the direction of Pontoise or Versailles Château or Saint-Quentin-en-Yvelines or Versailles Chantiers. Gett of at Champs de Mars-Tour Eiffel. You can also take the Orlyval (dedicated shuttle from Orly Airport) to Antony. At Antony station, take the RER B in the direction of Aéroport Charles de Gaulle or Mitry-Claye, to Denfert Rochereau, then change to Metro line 6 (direct change) and continue in the direction of Charles de Gaulle Etoile until Bir Hakeim (where you get off).